Revenue (Sales) codes are one set of item codes used in business to better understand sources of sales. A business entrepreneur wants to know what sells and what doesn’t in his business operation. This isn’t necessary if you only sell one thing; but there are some business operations that sell only one item e.g. hot dog vendor, taxi service, parking lot rental, etc. Sales codes are created to organize information and give management a tool to enhance overall profitability. Those products or services that perform well should be expanded or marked up more in order to increase profits. Those items not selling can be discontinued or marketed differently in order to increase profits. There is no one single system that works best, in general, each industry does it differently to better understand their customer’s pattern. For example, in retail, each item is assigned a unique identifier and then those identifiers are grouped into divisions, departments, locations etc. Therefore, information can be sorted and compared based on this identifier. 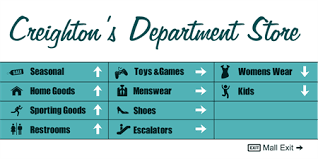 For example, a large department store will have an identifier for a unique product, then that code is grouped for that respective division within a particular department. To illustrate, a cleaning brush for automotive cars will be assigned an identifier, typically via the UPC code, and this brush via the code is assigned to the cleaning products/supplies division within the automotive department. Now store management can compare overall sales of the automotive department to the other departments within the store. Within the automotive department, sales for cleaning products/supplies can be compared against the parts division, chemical/oils division, auto tools etc. This UPC system will not work well with a fast food service operation. Here, sales are more homogeneous and what management really wants to understand is the taste demand of the customer base from unit counts. Therefore, the sales codes are tied to taste and recorded that way at the register. The particular sandwich doesn’t need a UPC, just a code at the register. This helps the owner identify trends and of course the overall demand which helps the owner ensure proper supplies of ingredients to meet the demand. A carpet cleaner wanted a more detail list of codes for the respective services and products he sold. In general, he cleaned carpets, furniture, curtains/drapes and provided a stain removal service. Over time, he was told by his national franchisor that a particular line of products would generate huge sales. I rolled my eyes at this one. First off, the primary customers were commercial hotels/motels and they had no need for the respective line of products. Secondly, the residential customers requesting this service rarely if ever bought the product line because it was too well defined, not to mention expensive in comparison to similar retail products. The line of products were focused on pets, they were selling Dog Odor Neutralizer, Cat Odor Neutralizer, Guinea Pig Odor Neutralizer etc. Tracking this was hard for the staff as a separate line had to be entered on the work ticket for the customer. Over the course of one year, they sold a total of 48 units of the dog odor neutralizer which was the most popular. Total units sold in one year didn’t exceed 100 units. It created clutter on the product sales reports as it added more lines of data that simple did not help the owner, it actually confused him when we discussed the report. So we changed the coding system whereby all the products were grouped as Odor Neutralizer sales instead of breaking them out. This allowed him to evaluate his other products in comparison to this group of products. In other industries, the codes can be quite complex and have more than just a meaning related to what was sold. In the medical profession, there is an entire medical billing code system and structure used by the insurance companies to properly assess the service rendered to the patient and then bill the insurance underwriter for that respective service. Here in this sector, a medical practitioner may end up only using a unique code once in his/her entire profession; but the codes were not designed for the medical practice, they were designed for the profession as a whole and for the medical insurance industry. Therefore a general practitioner will use the same set of codes that specialists use. It is universally accepted as the standard revenue codes in this industry. In conclusion, the business entrepreneur needs to look at the business operation as a whole and utilize a sales code structure that is simple and really assists the owner in understanding what the customer is buying. As a company grows and prospers, it may be beneficial to get more detailed with the codes to identify potential opportunities. Utilize the assistance of your CPA, your industry standards and even your competition to design a good revenue (sales) code layout. ACT ON KNOWLEDGE.